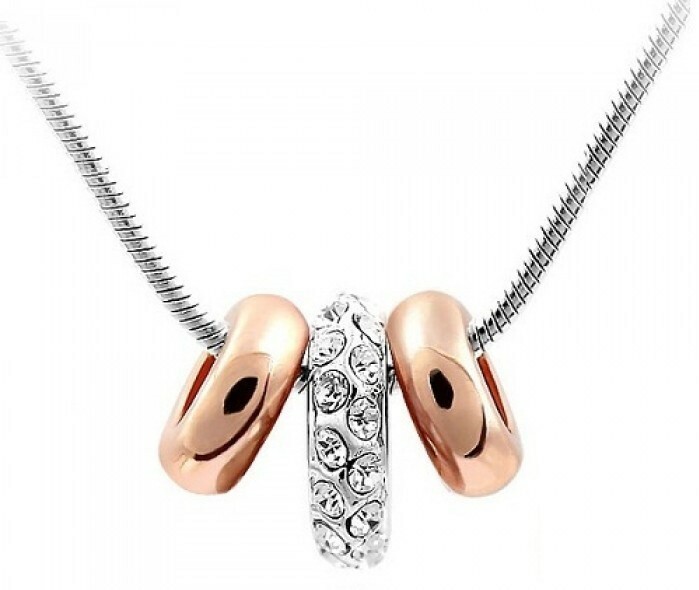 You will receive 10 Ladies Camila Ring of Love Necklaces. Womens necklaces. Silver and feature two rose gold rings with a Cubic Zirconia crystal decorated ring in between.